Victoria Park is a heritage-listed park at 454 Gregory Terrace, Spring Hill & Herston, City of Brisbane, Queensland, Australia. 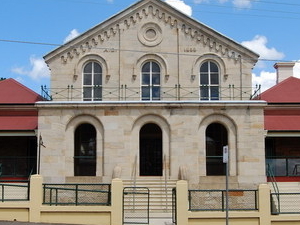 It was added to the Queensland Heritage Register on 3 December 2007. 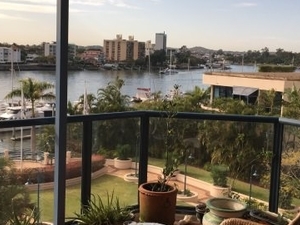 Victoria Park covers an area of 27 hectares of undulating land bordered by Gregory Terrace, Bowen Bridge Road, Herston Road, Queensland University of Technology (Kelvin Grove campus) and Victoria Park Road in the suburbs of Spring Hill and Herston. Named for the reigning British monarch at the time, Queen Victoria, the park was gazetted in 1875. 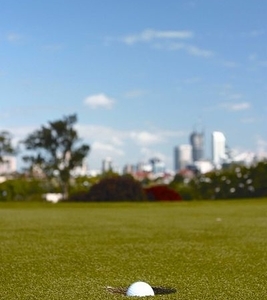 Victoria Park provides recreational facilities such as cricket pitches, swimming pool and golf course (redesigned with a new clubhouse in 1974). It also provides much needed parking facilities during the annual Brisbane Exhibition (Ekka) held in the adjacent Brisbane Exhibition Ground. 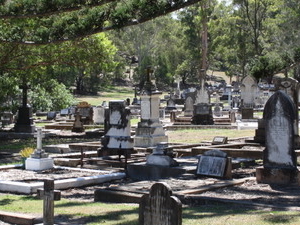 Victoria Park is representative of important phases of Queensland's history. It was the site of an immigration camp in the mid nineteenth century. It was important during the Depression years as the setting for many government work relief schemes. It was the site of accommodation for war brides after the Second World War and also provided temporary accommodation for returned servicemen and their families. Victoria Park was the site of an important, scientific experiment in 1913. The Terrestrial Magnetism experiment was carried out worldwide by the prestigious Department of Terrestrial Magnetism of the Carnegie Institution of Washington to measure the earth's magnetism. 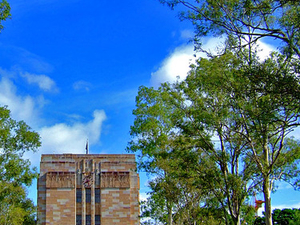 The place demonstrates rare, uncommon or endangered aspects of Queensland's cultural heritage. Victoria Park contains Brisbane City Council Substation No. 4, possibly the earliest surviving unaltered substation designed by architect A.H. Foster in 1928. This Substation demonstrates the way in which architectural contributions to urban design in this period were building sturdy, practical and attractive structures on a domestic scale. 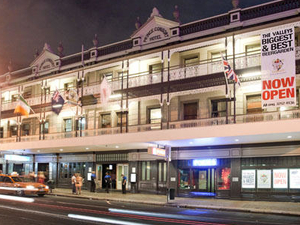 It is representative of the period when electricity was introduced to Brisbane and is a good example of its type. The park is an example of the works of Harry Oakman, Director of Parks for the Brisbane City Council (1948-1963) who was the first purpose-trained landscape architect to be employed by a government in Queensland. Victoria Park is significant for its aesthetic values. It is an area of landscaped parkland falling from a ridge offering expansive views in all directions. The park has large open grassed areas and is planted with mature figs, shade trees, palms and garden beds. The Gundoo Memorial Grove of eucalypts stands to the south-east end of the park. The park is a popular recreational reserve for organised sport and informal recreation. 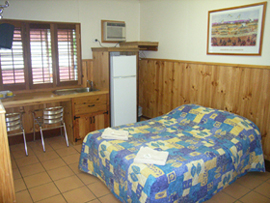 It contains many sporting facilities such as cricket pitches, tennis courts, golf course, bikeway and swimming pool.